A Los Angeles-based footwear company has created what it dubs the world’s first three-dimensionally knitted casual shoe. JS Shoe describes the unisex shoe, which is available for preorder on Kickstarter, as form-fitting yet breathable. It’s also seamless, thanks to the use of a state-of-the-art knitting machine that churns out the exact amount of cotton-polyester fiber required without any waste. Once the upper is formed, a heel of EVA polymer (ethlyene-vinyl acetate) is glued on to provide extra support. In an atypical move for a footwear manufacturer, JS Shoe allows lets its customers purchase one shoe at a time. Because 3D knitting reduces the numbers of layers you need, the shoe is also extremely lightweight, weighing just 4.6 ounces—a boon for travelers. With a month left to go, the campaign has already surpassed its $50,000 target. The early-bird specials are gone, but you can still snag a pair at a discounted rate of $79, shipping included. A rainbow-hued “special edition” is also available for $119. Nike uses a similar knitting technique to produce its “Flyknit” sneakers, which hug the foot like a second skin. Adidas can also lay claim to the world’s first knitted football boot. these look amazing and comfy! do you make these for women? 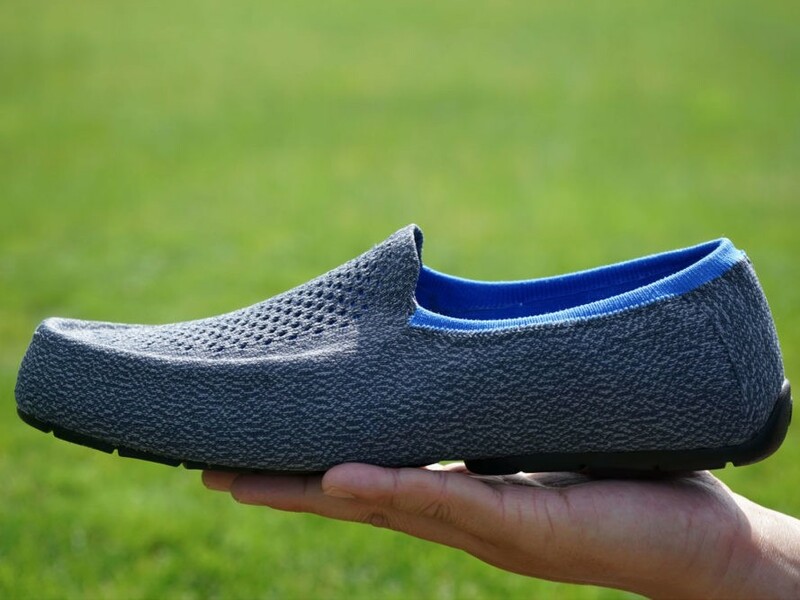 A Los Angeles-based footwear company has created what it dubs the world's first three-dimensionally knitted casual shoe. JS Shoe describes the unisex shoe, which is available for preorder on Kickstarter, as form-fitting yet breathable. It's also seamless, thanks to the use of a state-of-the-art knitting machine that churns out the exact amount of cotton-polyester fiber required without any waste. Once the upper is formed, a heel of EVA polymer (ethlyene-vinyl acetate) is glued on to provide extra support. In an atypical move for a footwear manufacturer, JS Shoe allows lets its customers purchase one shoe at a time.